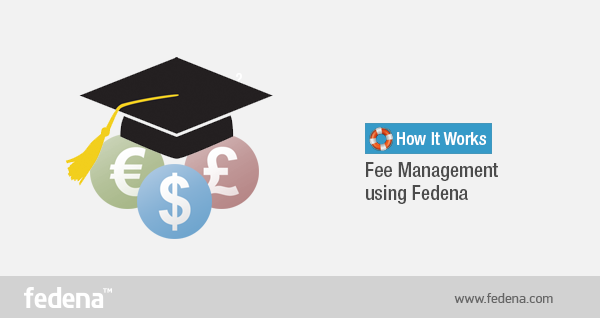 Managing fees is now an easy task to accomplish and thanks to Fedena School Management Software for it. Being the head of the school, managing the fees of so many students with special fee structures for selected some and collecting the names of fee defaulters, is surely not an easy task to carry out alone. But with the fee management option of Fedena, managing fees is not a tough job now. Read the article and know what are the ways available with Fedena to manage fees of your students. You can reach to fees management through ‘More’ in dashboard and then to ‘Finance’ which will take you to ‘Fees’. Click on ‘fees’ and you will get the page with all the options about fee management there. Create Fees: Clicking on ‘Create Fees’ will take you to the page where you will get the options to create the different categories for fees. The ‘Create Category’ section will let you create the Master Category for fees and select the batch you want to apply the fees. ‘Create Particulars’ will help you create the different particulars for the master fee and select the particular batch you chose for the master fee. While, ‘Create discount’ lets you create fee discount options for any particular student or a batch. Schedule Fee collection: You can create new fee collecting dates with the help of this option. Create your own fee collection dates for any of the fee category you have created. Plus, get all the fee collection dates for any particular batch you want to see. Collect the Fees: Whenever there is a fee submission, you can mark it in your Fedena school Management software, either by course or for each individual student. Select the batch and the fee collection date when you want to make fee submission by course and click ‘Pay Fees’ for the students of the batch. If required, you can print the receipt of the payment too. Fees Structure: Choose the student name and get the fee detail of the respective student. Fees Defaulters: Get the names of all the students who are fee defaulters. Click on ‘Fees Defaulters’ and select the course, batch and also the fee collection date to know about the students who are yet to pay the fees for the respective fee collection date. Fee Imports: Select a batch and any particular student and change any fee collection category for the student. Fedena School Management Software is very easy and simple to use. Sign up for free demo now!